Below are a few examples of some Hilton projects we have worked on. For our complete list of Hilton projects, click here. RAMAKER performed the design for a new 5-story Hilton Garden Inn Hotel in Bettendorf, Iowa. The hotel has 116 guest rooms, with a contemporary boardroom and the latest A/V technology. It includes the latest cardio and weights equipment in the complimentary fitness center, as well as an indoor swimming pool. The hotel also includes options to dine out, such as the Garden Grille & Bar®, or dine in the comfort and privacy of your guest room with room service. The hotel also has a beautiful fire pit on the outdoor patio. RAMAKER designed an addition to a 108-room Homewood Suites to an existing Courtyard Hotel. Public space, retail space and some parking is located at grade level. Parking is located on level 2. The structural system is steel and precast concrete with steel stud infill. There is a new pool and exercise area, with other functions shared between both facilities. RAMAKER conceptualized and designed an 87 room, Hampton Inn & Suites set along the Minnesota River Valley, 30 miles southwest of Minneapolis – St. Paul, and situated minutes from major companies in a business park. 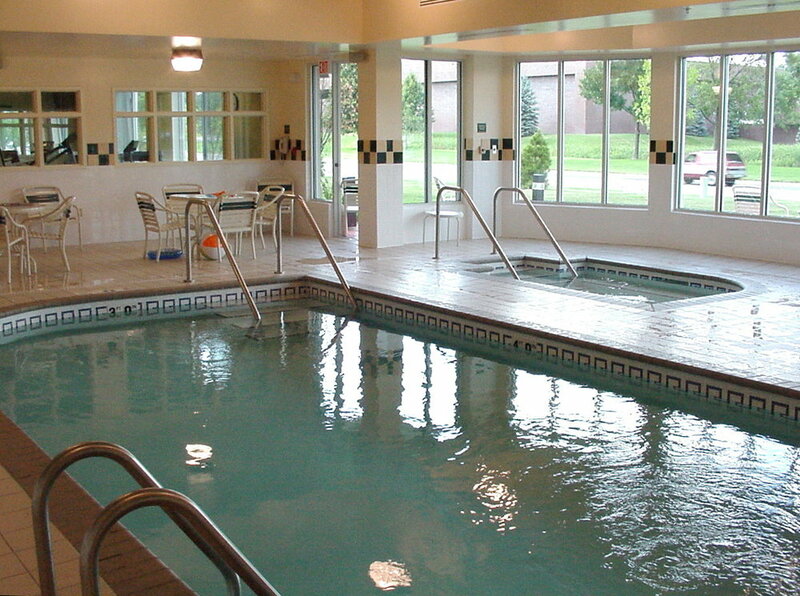 The hotel boasts a heated, indoor saline pool, 24-hour pavilion pantry market, and gym/fitness center. Hampton Inn & Suites West Des Moines/SW Mall Area is conveniently located near the intersection of Interstates 35 and 80 in West Des Moines, IA. 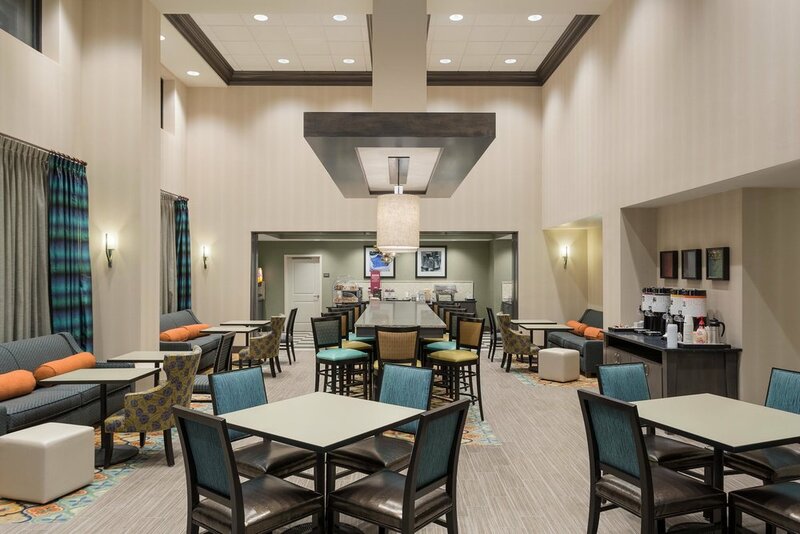 This brand new West Des Moines hotel is only 12 miles from downtown and the Des Moines International Airport, and less than 15 miles from the Wells Fargo Arena/Iowa Events Center, the Mercy West Medical Center and several Fortune 500 companies. 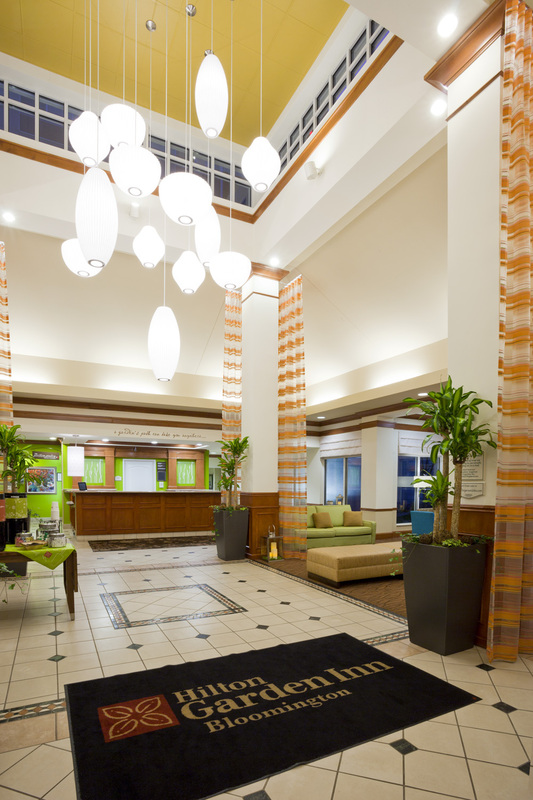 Enjoy easy access to business parks and lots of shopping, dining and entertainment options. Take advantage of free WiFi in all public areas, and stay productive in the free 24-hour business center. The 588 sq. ft. conference room is ideal for meetings for up to 65 people. Energize in the contemporary fitness center or refresh in the indoor swimming pool or whirlpool. 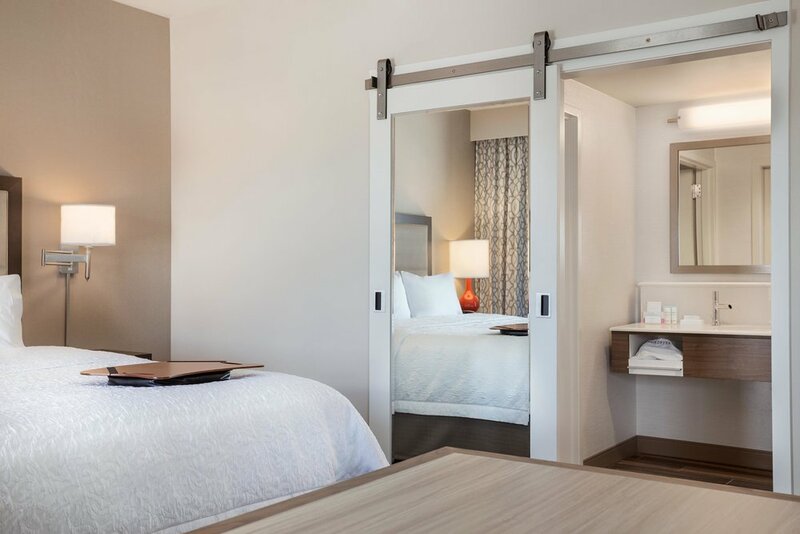 At the Homewood Suites by Hilton® Minneapolis- St. Louis Park at West End, guests will find spacious studios and one- and two-bedroom suites featuring separate living and sleeping areas. There is plenty of space for work, study or entertaining, as well as a fully equipped kitchen area. For your fitness and recreation convenience, this hotel also has an outdoor basketball court, fitness room, and indoor pool. The Hilton Garden Inn Minneapolis St. Paul-Shoreview hotel in Minneapolis, Minnesota is conveniently located just 25 minutes’ drive from Minneapolis-St. Paul International airport. Relax in a spacious guest room with one king or two double beds, or upgrade to a stylish suite, offering optional whirlpool bathtubs. All suites have a separate living area featuring a sofa sleeper. Take a dip in the onsite heated indoor pool and whirlpool or maintain your fitness plan in the fully equipped fitness center. The hotel offers 1,350 sq. ft. of meeting and banquet space to entertain 100 guests, with full onsite catering services. For your dining needs, this hotel offers a restaurant, the Great American Grill®; the Pavilion Lounge, offering a relaxing venue for drinks and appetizers; and a 24-hour Pavilion Pantry® with a selection of refrigerated, frozen and microwaveable packaged items perfect for in-room preparation. The emphasis on natural light in this 108-room Hilton Garden Inn provides a warm and inviting atmosphere for its guests. In addition to the convenience of being within ten minutes of the Minneapolis/St. Paul Airport and the Mall of America, guest ammenities include a fitness room, swimming pool, business center and on-site convenience center. The services provided included conceptual planning and architectural design. 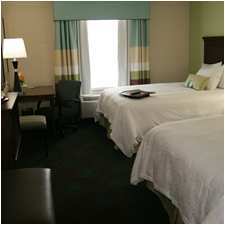 Make yourself at home at this extended-stay Ankeny, IA, hotel, in a spacious studio or one-bedroom suite. Each suite is stylishly decorated, and has separate living and sleeping areas, a full-sized kitchen, a 37-inch HDTV and complimentary internet access. Maintain your exercise regimen with the latest cardio equipment and free weights in the complimentary fitness center, or swim lengths of the refreshing indoor pool. Catch up with work in the complimentary business center or host a business event for up to 40 people in the 644 sq. ft. meeting room. Hampton Inn & Suites Minneapolis West/Minnetonka is located just off I-394 and Hopkins Crossroads, in the west suburb of Minnetonka. The hotel is just minutes from Minneapolis, and offers easy access to many shopping, dining and entertainment opportunities. 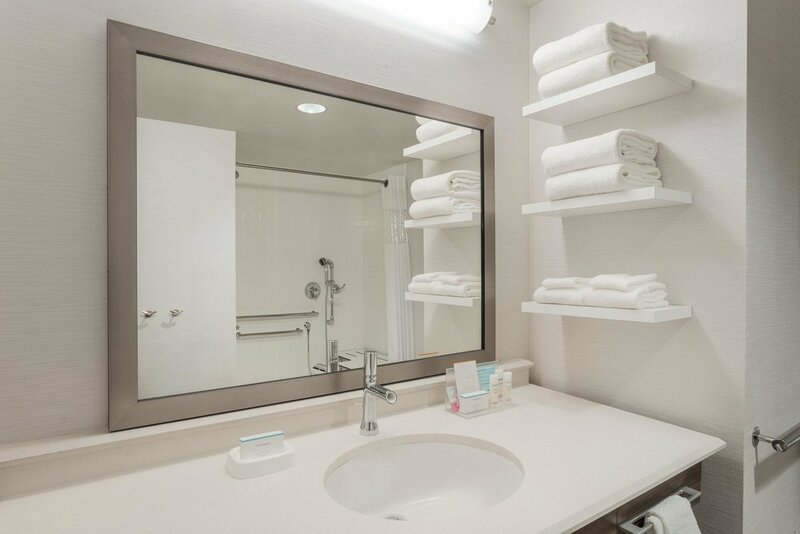 Relax in a comfortable guest room at this hotel in Minnetonka, MN, and enjoy modern amenities, including a microwave, refrigerator, free WiFi, and ergonomic desk. Upgrade to a suite for more space and amenities, including a sleeper sofa. 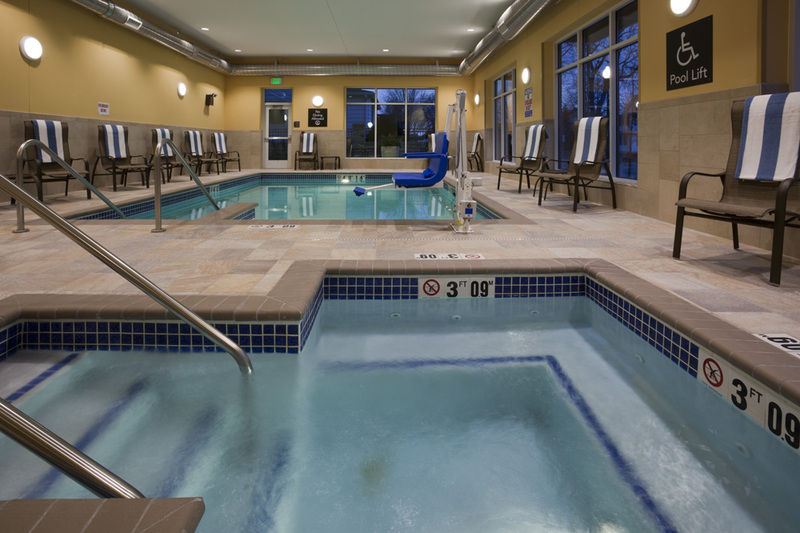 Swim in the heated indoor pool or unwind in the whirlpool. Energize in the free 24-hour fitness center, which features contemporary exercise machines with personal TV screens. Plan an event for up to 45 people in the meeting room, and print documents in the 24-hour business center. This Hilton Garden Inn Cedar Falls hotel offers stylish, eco-friendly guest rooms, unique dining and a relaxing corporate atmosphere in the Cedar Falls/Waterloo area. Conveniently located at the intersection of H-20 and H-58 in the Cedar Falls Industrial Park, the hotel is just blocks from John Deere, University of Northern Iowa, Target Distribution, shopping and dining. Indulge in a delicious meal at the hotel's on-site restaurant, The Garden Grille & Bar, open daily for breakfast and dinner. For the convenience of dining within your room, grab a snack from the hotel’s great value, 24-hour Pavilion Pantry or order a meal from room service. Stay active during your stay with an energetic workout in the fitness center, or enjoy a jog on the nearby running tracks. Hilton Garden Inn Cedar Falls also offers over 5,000 sq.ft. of flexible meeting space, ideal for conferences, seminars or spectacular social events.